Cae Glas Cricket Club approached us after struggling with their own website and deciding they needed a professional web presence. We created a user-friendly website intended to appeal to a younger audience of potential new members as well as providing a place for upcoming fixtures, match reports and club news. We managed the project, working with key volunteers within the club to bring the new website together, training those volunteers to edit the site themselves after go-live. The club’s volunteers have access to the Moghill Help site which includes guides and video tutorials. Our aim was to look at other cricket club websites and give Cae Glas something easier for people to use which is also free of the clutter normally seen on cricket club websites. 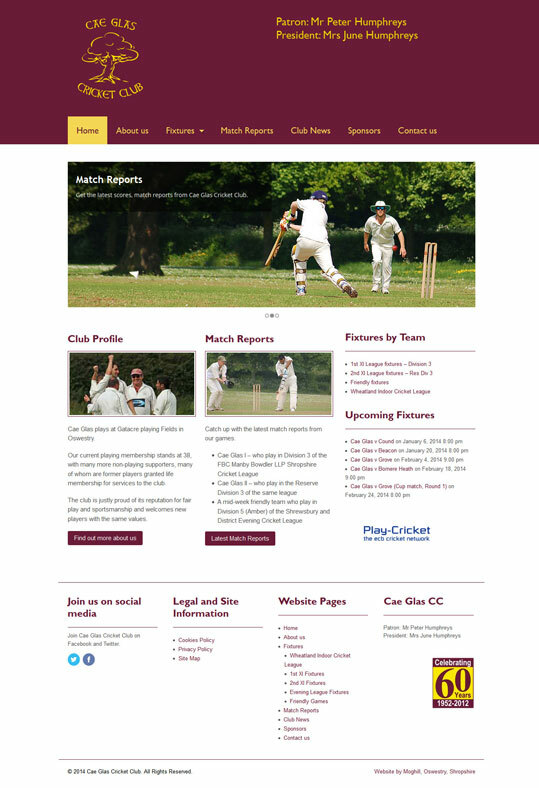 In short, we wanted to create the most useful and user-friendly cricket club website possible.